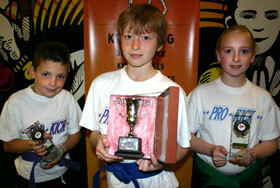 Kickboxing king Billy Murray has used a trophy presented to him to inaugurate a novel new year-long competition for young members of his celebrated ProKick Gym. 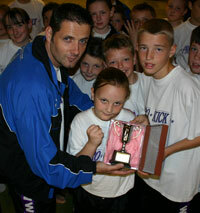 The Brooklands ProKick Cup will be presented each week through the next 52 weeks to the most improved ProKick kid of that week. A special shield has also been minted with space for 52 names. At the end of the year, the person with the most names on the shield will be presented with the Cup to keep for good, with their achievements immortalised in the shield which will go on display in the gym. 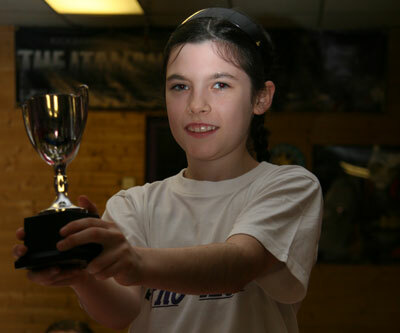 “I was presented with the cup by Mr McCartney, the Principal at Brooklands Primary School in Dundonald after a unique event at the school when I took 200 of the pupils through a specially tailored training class,” Murray explained. 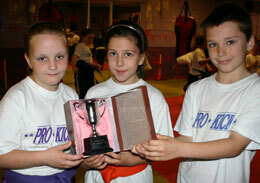 “I felt there was no better way to keep that cup as a celebration of the achievements of kids than to inaugurate the competition. 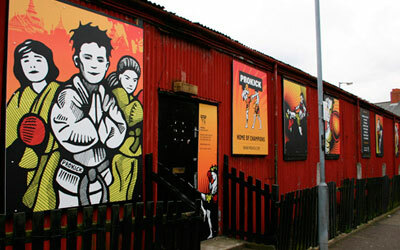 Belfast’s celebrated Prokick Kickboxing gym has beginner classes for both adults and Kids running regularly. Check out here for details.